Poly-Fabricators, Inc. custom manufactures the uhle box covers and uhle box strips, pictured below, for the paper and pulp industry. These products are built at our plant in Eufaula, Alabama. 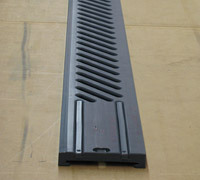 The custom covers are machined to achieve an open area, specified by the mill. The covers are available in a number of different design options, including herringbone, single slot, double slot, and trapezoid. 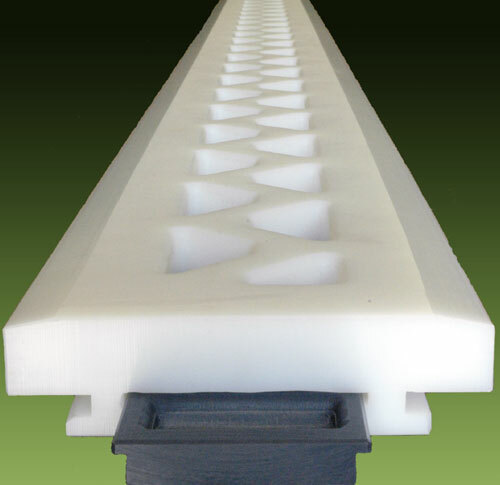 In similar products, we also install ceramic wear rods in the cover ends for an additional charge. 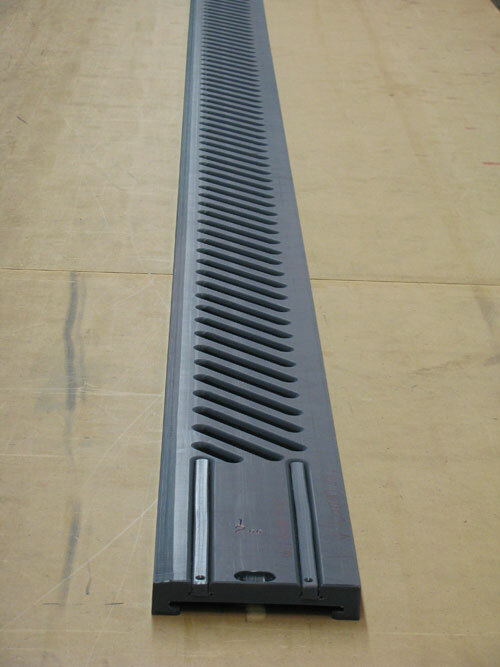 The uhle box covers are constructed from UHMW-PE. In addition, a small amount of molybdenum disulfide is added to the material prior to the extrusion process to reduce part friction, which helps extend the life of the product. 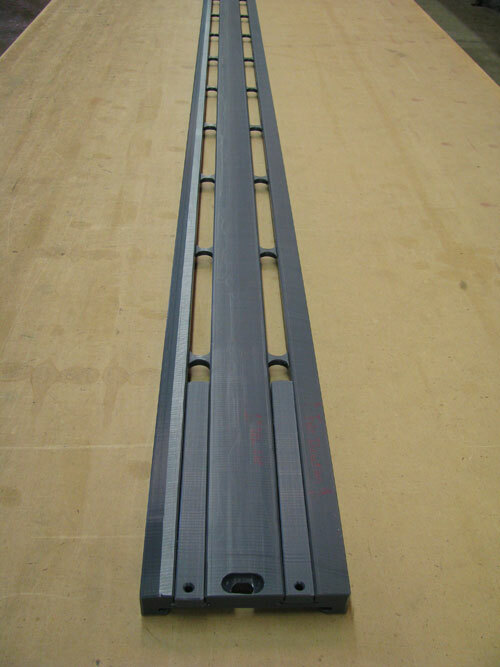 Our custom manufactured uhle box covers and uhle box strips meet customer supplied specifications for both quality and design.